Throughout the years, the renowned white of the Real Madrid home kit has struck fear into their rivals and in homage to the successes of the club in the Copa del Rey and UEFA Champions League this year, the jersey now features a star on the front panel that reflects in the light. The design of the shirt is inspired by the iconic symbol of the "madridismo" alongside a distinctive new collar and vibrant pink detailing. In addition, the crest has been updated with a high density thermo-stamped application that makes the jersey lighter and more comfortable. adizeroTM - The 2014/15 kit features the innovative adizeroTM technology that ensures that this is lightest adidas kit ever, enabling maximum performance for the players. They are made of an ultralight fabric which enhances breathability while allowing unparalleled freedom of movement and comfort without compromising elasticity and durability. 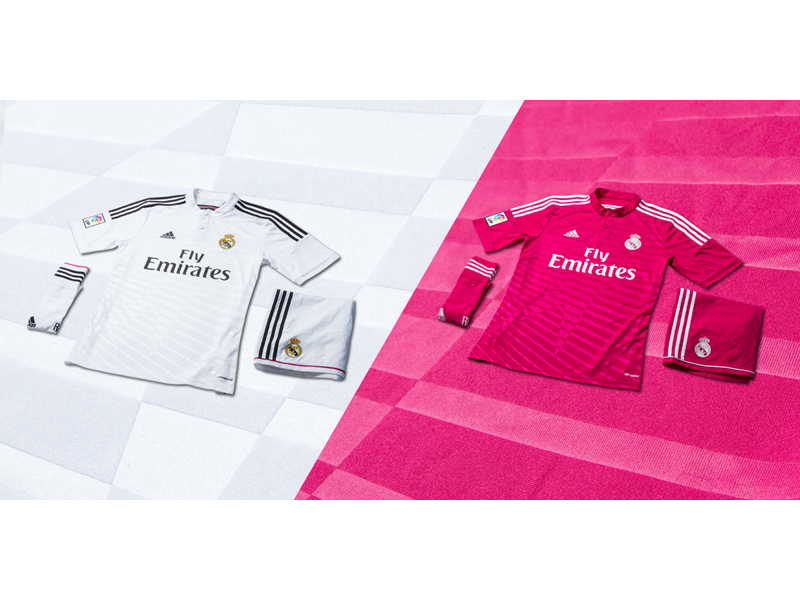 The jersey will be available from June 3rd in all adidas points of sale, associated stores and on www.adidas.com/football or www.realmadridshop.com.